– Is light the carrier of reality? We see/perceive through light, physically and spiritually. – The key is still TIME ! Figure out the TRUE nature of time and everything should fall into place. 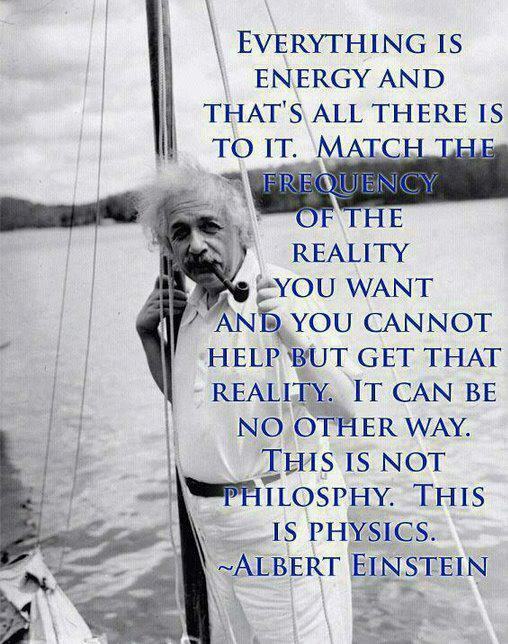 – Energy in relation to time = reality. Which relation? – Energy moving through time, moving through energy(moving through time). – Matter is an illusion: it is a slow-moving construct of fast-moving energy. – We die and are reborn every instant, but so does everything around us and everything interacts. – Choice is a change [in direction of energy]=reality? – Energy transformation through interaction with other transforming energy? – Matter is an always transforming(from one form to another) construct of energy? The hole needs no repairing. Does the shoe need repairing? Denounce the importance of matter. – What is the sound of one hand clapping? Whatever you choose it to be! The entire universe has changed, because I have changed. My choice changed reality. This entry was posted in Spiritualistic and tagged energy, light, Matter, reality, Technology, Thought, Universal, Universe, zany. Bookmark the permalink. Thank you, Gigoid. I was half sure that everyone would think I’d finally lost all my marbles. Hugs from Ralphie! Just found the new adjoining picture(changed it) that goes with this on FB, Gigoid. How about that?